First of all, it is important for our clients to realize just how important it is to be educated on a matter before taking any action. Dealing with people and businesses often requires you to do your research, but without the help of a San Bernardino County licensed investigator it may be difficult to find the data you require. A background check is designed to look more closely at the professional or personal history of the party in question. 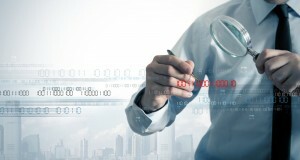 Often, a good background check requires more than simply looking for information on a website. It takes tenacity, diligence, and more access to information than you can get on your own. Give yourself a better understanding of the person/persons you’re looking at by conducting a swift and accurate background check on them as soon as possible using a San Bernardino County licensed investigator. The information you need is usually considered to be public record, but finding all the most important data and putting it together in a cohesive manner often requires the help of an expert. Unfortunately for the people who use online or website-based background checks, they are unaware of the fact that routine background checks are typically plagued with outdated information, unverified records, and other falsities. In reality, anyone looking for information on an individual or business should use a San Bernardino County licensed investigator. This is because a background check should always be tailored around your objectives, covering all your areas of concern, and a San Bernardino County licensed investigator can provide you with that. For more information on having a San Bernardino County licensed investigator take care of things for you, or to hire someone immediately, call (951) 800-8232. We provide you with a free initial consultation and price quote for our services.